For veteran contemporary jazz guitarist Jim Hagen, “Jazzical” is more than the follow-up to his critically acclaimed 2012 eponymous debut. “Jazzical” is also a sublime tribute to and true celebration of the friendship and musical chemistry he shared for years with renowned vibes player Rod Bennett, an integral part of Hagen’s popular Southern California ensemble Hagen Jazz. 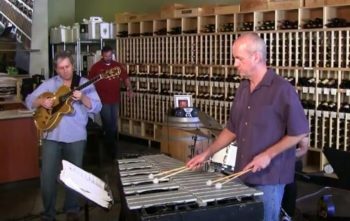 Hagen released the all-instrumental “Jazzical” on May 19, 2017, just shy of a year after Bennett – an avid cyclist and beloved music teacher as well as popular local musician – was killed by a hit and run driver the previous May 25. 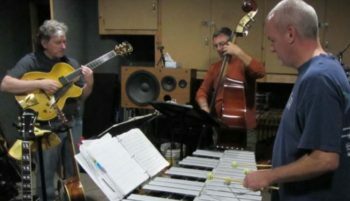 Hagen was midway through recording “Jazzical,” working with Bennett, bassist Roger Brooks and drummer Lance Allyn at Jerry Danielsen’s Busy Signal Studio in Canyon Country, about half an hour north of Hollywood. Danielsen also played keys on several cuts. The only “Jazzical” track not featuring the magical Hagen-Bennett connection is Hagen’s easy-flowing, sunny and soulful “Pismo Beach,” the album’s first single. Hagen’s previous single, “Midnight Drive” from his debut album, was the fourth most downloaded song on the All About Jazz website in 2014, establishing him as a force in the genre. “Midnight Drive” ranks in that site’s Top 200 downloads of all time (currently in the Top 100) and still gets regular play on Jango radio. “‘Jazzical’ is a very different project from anything I’ve ever done instrumentation-wise, and we even have a little glockenspiel, which shows a little of my early Genesis influence entering the picture,” Hagen said. He came up with “Jazzical” for the album’s title track based on the evolving nature of the tune, which begins with a hypnotic classical guitar line before the guitarist starts playing jazzy chords, plucking each note individually as the rhythm section (including bassist Roger Brooks and drummer Lance Allyn) kicks up the groove. “Rod and I both had classical background training, he on vibes and percussion and I on the guitar,” said Hagen, whose rack of guitars includes a hollow-body electric, a 12-string electric, a nylon string acoustic and an acoustic steel string guitar (which he plays on “D’Tuna”). “The sound of the vibes is ethereal, like a bell that rings out and takes my songs to a deeper emotional, and definitely jazzier level,” Hagen said. “When I play, I am always striving to get a sustain in a lot of chord melodies I play. There’s some strumming on ‘Jazzical,’ but most of the time I’m taking a fingerpicking approach. Instead of the usual slamming of guitar chords, I’m usually picking out the notes or chords to best express the melody. A native of Kansas City, Jim Hagen got his first guitar at age 10 and took lessons for years, first at a local community center, then privately and later at Penn Valley Community College and a semester at the UMKC Conservatory of Music. His father was a jazz pianist who introduced him to old-school big band and jazz standards he would frequently play on the piano. At the same time, Hagen’s chief influence on guitar became Wes Montgomery, and his fascination for progressive rock led him to join the band Prophet, which played a lot of early Genesis and Yes songs. Prophet opened for several prominent rock gods, including Bill Bruford’s band with Jeff Berlin and Dave Stewart and John Kay & Steppenwolf. When he moved to Southern California, Hagen kept his musical education going, studying classical guitar and piano at Glendale College with Robert Vaught, who later taught him privately. He also later took private lessons in jazz guitar with Ron Anthony (known for his work with Frank Sinatra) and Riner Scivally. 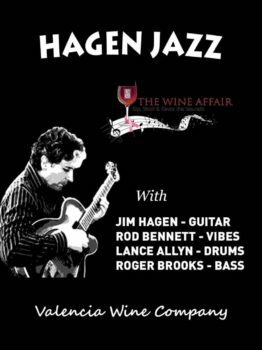 Hagen has been gigging regularly, playing jazz standards, classics and original material throughout Southern California since the mid-’90s, first throughout the San Gabriel Valley and later in Santa Clarita. 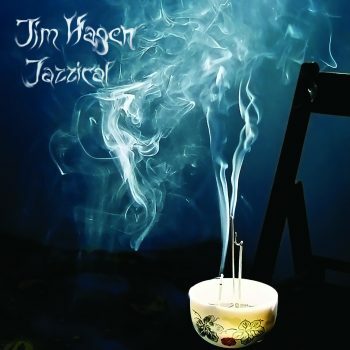 He laid the groundwork for his breakthrough “Jim Hagen” album with Hagen Jazz, which he founded with Bennett in 2008. The quartet (whose rhythm section evolved but often included Roger Brooks and Lance Allyn) had a notable two-year Sunday afternoon residency at Valencia Wine Company, and did many performances at Salt Creek Grill, Cheers at All Corked Up and many private functions around the Santa Clarita Valley and Southern California. 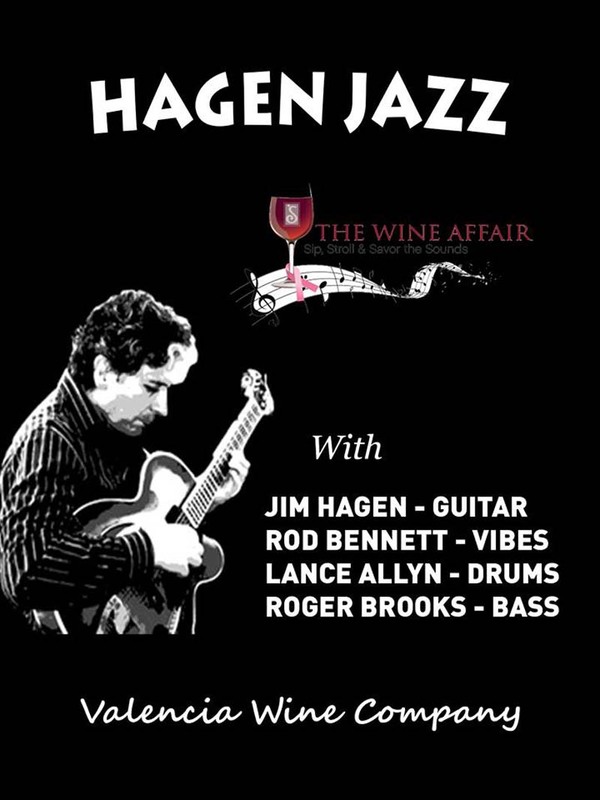 Hagen Jazz has also played Vine to Wine, a charity fundraising event at California Institute of the Arts in nearby Valencia, and for the past several years Hagen and crew have also been favorites at the annual SCV Soroptomist Wine Affair benefit in Santa Clarita. In July 2016, Hagen Jazz hosted the first Rod Bennett Memorial Jam Session, which included performances by many of the musicians Hagen and Bennett played with over the years. In August 2016, Hagen Jazz carried on as headliners of the Rivendale Jazz and Blues Summerfest. As much as he enjoys recording, Hagen lives for the musical interplay that happens onstage. “Jazzical” is available via iTunes and Amazon as of May 19, 2017. 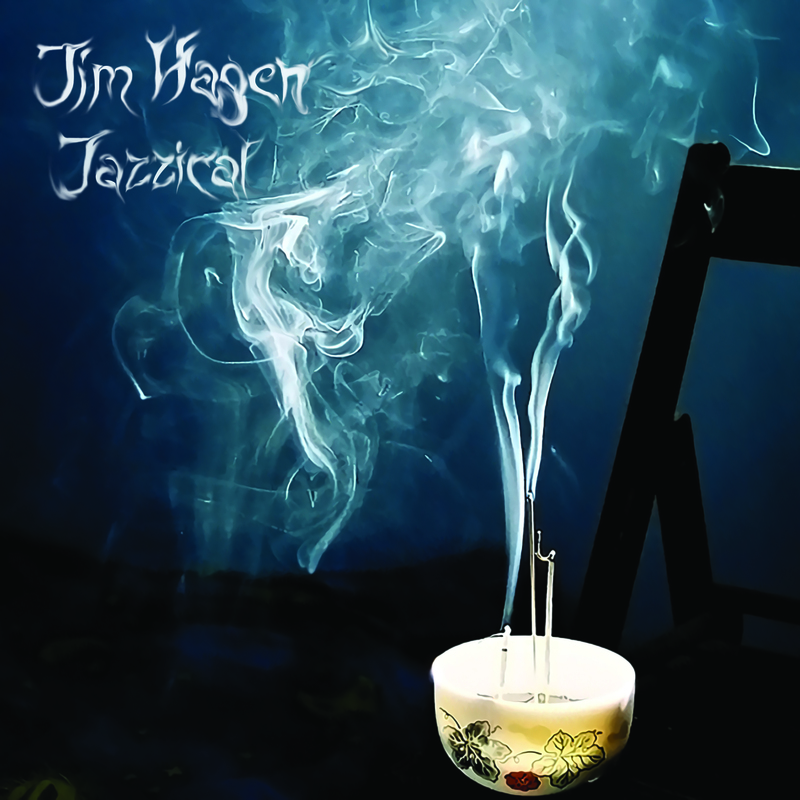 Find out more about Jim Hagen and Hagen Jazz at the band’s website. The preceding was an edit of a bio provided by UE3 Promotions. Photos courtesy Jim Hagen. Santa Clarita journalist Stephen K. Peeples is also a Grammy-nominated record producer and award-winning radio producer. He was the award-winning Online Editor for The Signal from 2007-2011, and hosted-co-produced SCVTV’s WAVE-nominated “House Blend” local music show from 2010-2015. Peeples is now VP/New Media Emeritus for Rare Cool Stuff Unltd. and CEO of PetMeHappy.com. For more stories and info, visit http://www.stephenkpeeples.com/. For exclusive behind-the-scenes interviews, subscribe to his YouTube channel.